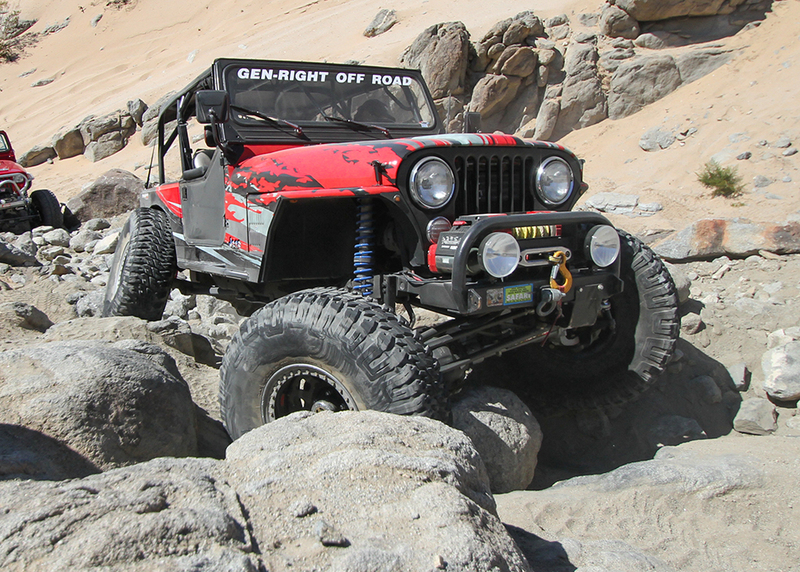 This is Keith Lyon's (here in the sales dept) 1983 Jeep Wrangler CJ-7. It has the 4.2L 6 cylinder engine with Howell EFI, 4 SPEED manual transmission, Atlas 4.3:1 T-case and Currie Rock Jock 60 axles. 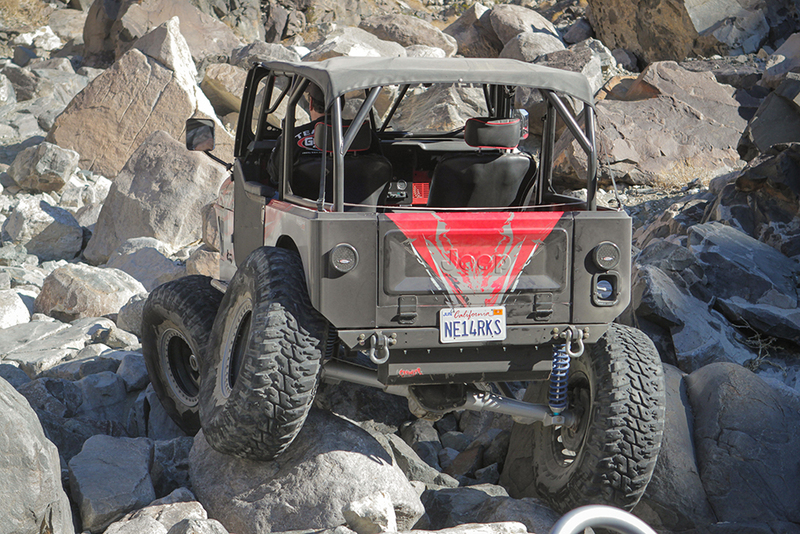 He built is to be an all out trail rig, but it is also his daily driver! 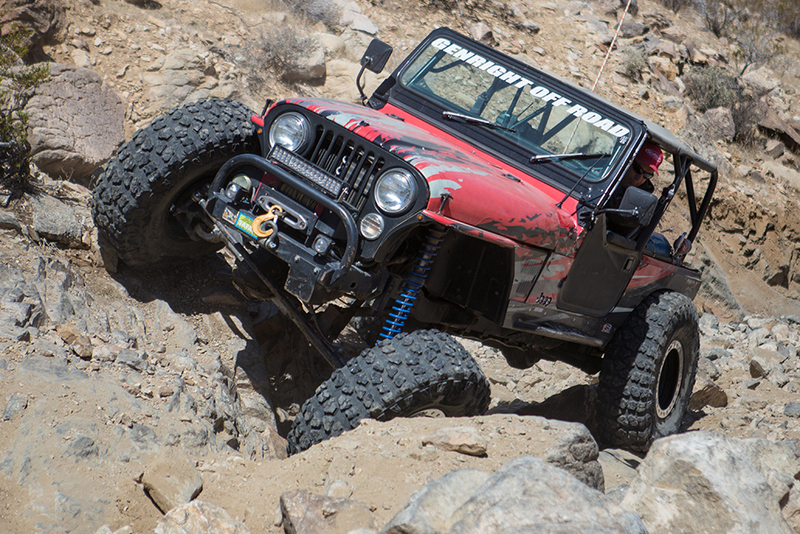 Currently running a GenRight Legend coil over conversion on 40" Goodyear MT/R's, Raceline Beadlock Wheels and more. 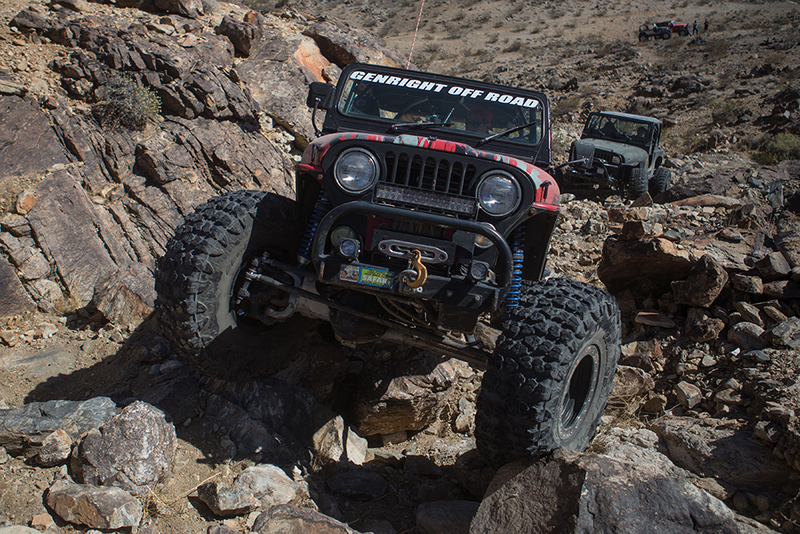 Above; Keith's highly modified CJ-7 with all GenRight body armor and suspension. 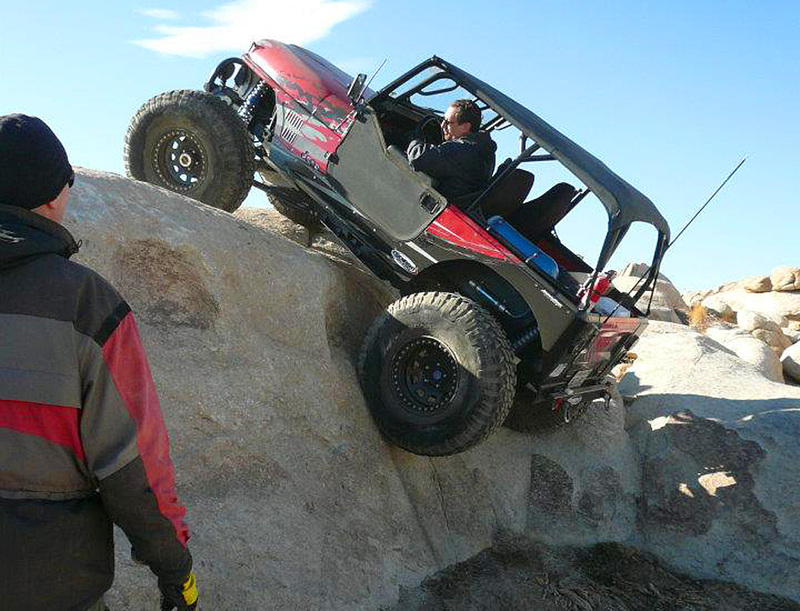 Above; Keith working his way up the Sledge Hammer trail, Johnson Valley CA. Above; Keith working his way through the gate keeper on Chocolate Thunder, Johnson Valley CA.